In the 1940s, Willem de Kooning (1904 – 1997), with his artist friend Arshile Gorky, frequented the Metropolitan Museum to study portraits by 19th-century French artist Jean-Auguste-Dominique Ingres. 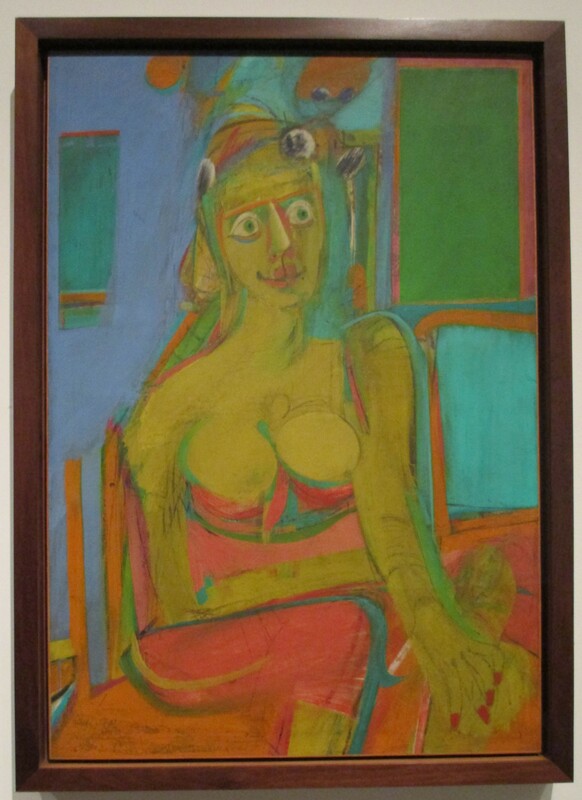 this seated figure, which belongs to de Kooning’s first series of Women paintings, demonstrates his interest in the human form. Awkwardly posed, the woman’s arms, legs and breasts exist as abstract shapes in a flattened space. Like other Abstract Expressionists, de Kooning was interested in portraying nature as simultaneously creative and destructive. Although the figure is recognizable as a woman, de Kooning arrangements of form, line, and color gives the effect of a body coming together and falling apart.